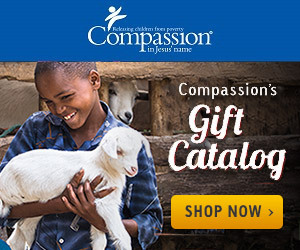 Time for a Compassion Giveaway!! Have you been wanting this book? When I participated in the Compassion Blogger Blog Month back in September, I was able to earn a copy of this book. Since I already have a copy, I decided to give away this copy to one of my readers! I will also be sending along one of the 'You Can Change the Story' bookmarks that were available at the Global Leadership Summit during the summer. Leave a comment on this blog post letting me know what book(s) you are currently reading. Entries must be submitted by midnight (pacific time) on Thursday, December 6th. I will draw and announce the winner here on the blog on Friday. Giveaway only available to those living in the United States. If you are a Compassion sponsor, you will want to add a copy of this book to your library!